Anyways there’s a reason for my title. 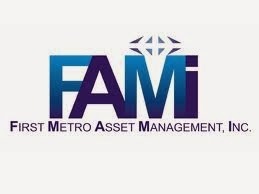 I have been battling whether to choose to invest on FAMI or COL Financial when i first reached the initial amount needed to open an account. It is a choice between Mutual Fund or Stocks. I don’t have any investment background so for a NEWBIE like me, i have to go with a lesser risk. There are minimal requirements. 2 valid ID’s and initial deposit and your good to go. Whereas, in COL Financial aside from ID i have to give a billing statement. I have nothing against COL Financial. Opening an account to them will be my next target. It is just that for beginners i highly recommend to open a mutual fund first especially if you don’t have any experience in investing. Hope you’ll check out my blog post in how to open a FAMI account! Submit your email so you can receive FREE UPDATES on my BLOG. COMMENT BELOW and tell me your experience with FAMI and if you think i made the right decision.